Online streaming of content is the in thing now. Everyone wants a piece of it and consumers are spoilt for choice. Companies such as Roku, Amazon and others have come up with TV boxes specifically for the purposes of streaming, but these big names are not the only ones out there and might not even be the best for the price. If you’re new to the fold though and do not know what an Android TV box is, lets talk about that first shall we? This is a small device that you connect to your normal TV, and it enables your normal TV to have the capabilities of a smart TV and more. It turns your TV into a computer with capabilities of accessing several streaming services. 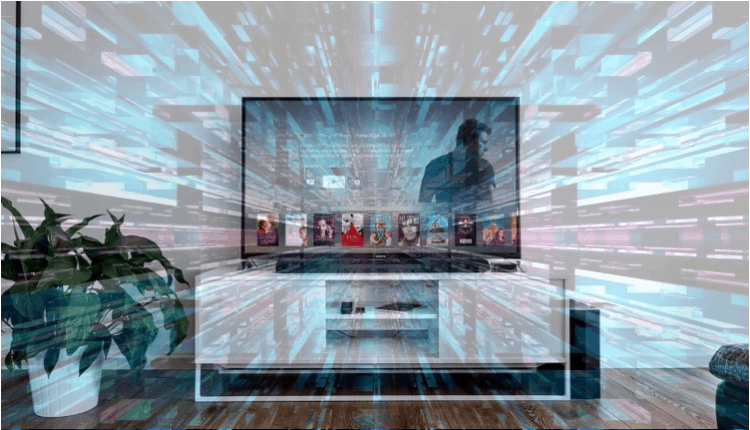 A TV box enables you to watch TV, stream channels, download apps, use your downloaded apps to connect to streaming services, and even play games. Among the most popular TV boxes available in the market today is the Android TV box. Android TV boxes are TV boxes that run on the Android operating system. 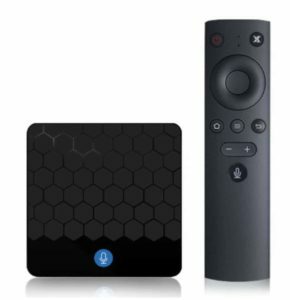 The Android TV box was developed to replace the Google TV box in 2014. Apple TV is also an option, but for the price and features I generally suggest Android. Aside from the cost factor, devices like Roku are also an option and they are really good, but they are a bit more complicated. Android TV comes in an array of devices (TV boxes) that all run on Android OS. In this article, we are going to look at three of the best Android TV devices of 2019. Other Features MS Office, Online Video, Music, TV Facebook, Flicker, Picasa, Youtube, Skype chatting, Online movies, etc. Facebook, Flicker, Picasa, Youtube, Skype chatting, Online movies, etc. Before I get into details and specifics on each of the devices we’re comparing, I just wanted to ensure that you had the protection you needed when streaming online. Android and Kodi are both excellent products and completely legitimate. However, they both provide you with the ability of accessing streams with copyrighted content. Android does this through applications like Stremio and Modbro. Both of these are really useful apps that give you live TV and sports and much more. Kodi similarly has addons that offer the same features – Exodus for movies, Sports 365 for sports and Planet MMA for UFC content for example. The problem isn’t really with the applications or the addons. Rather it is that some of the streams you might watch with them might be copyrighted. As such since some content is OK and others not, it can be quite difficult knowing whether you are safe or not! This is where a VPN like IPVanish comes into play. VPNs or Virtual Private Networks create a secure, encrypted tunnel between your device and the VPN service. All traffic sent through this link is completely private and hidden and cannot be tracked back to you. This is really important for the reasons already mentioned. What is the right VPN? Choosing the right VPN can be difficult though as there are lots of them on the market. Some of them are even free – or at least that’s what they’d have you believe. Really free VPNs are anything but free! You see, when you connect to a VPN service your internet connection is routed through there servers – that’s how you get secured. The free VPN services have really slow servers though. This might be OK for email, but when it comes to streaming content it is much too slow and you just end up having your connection buffered. That is why we suggest you to use a commercial VPN like IPVanish. However, that’s not the only or even the worst problem with free VPNs. You see free VPNs often store your activity details in their servers unlike the service provided by IPVanish. Considering that security is one of the reasons you wanted a VPN in the first place, I think you’d agree that if there is information about what you are streaming available, that kind of defeats the purpose of a VPN. Because a Good VPN makes really the difference, we managed to get an exclusive 57% of IPVanish for all of the readers of this site. This is one of the latest Android TV boxes on the market. It plays 4K videos at an impressive 30 fps which makes it excellent for video and gaming. Just like most TV boxes, the M16 Android 7.1 is not a bulky gadget. It weighs 0.215kg and has dimensions of 93 x 93 x 19 mm. It comes with a TV Box, Power Adapter, IR Remote Control, HDMI Cable and a User Manual. 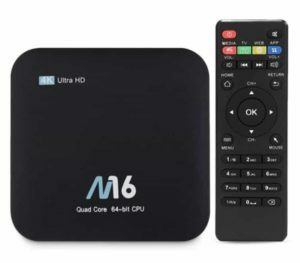 The M16 Android 7.1 uses the HDMI 2 cable connector to connect to your TV and offer you high-quality 4K UHD video. The average TV box does not support 4K videos. They only go up as far as 1080P. The M16 Android 7.1 will play you any 4K video that is available to consumers at the moment. Other Features – The gadget comes inbuilt with 33 languages. It supports opera, Skyfire, dolphin and many other browsers. Other than TV, it also supports online video and music and MS Office. As already discussed, it is important to use a VPN with M16 Android 7.1. The recommended VPN is IPVanish. Buy or get more info, now! The Beelink has a nice carbon fiber pattern on it which I tend to like. I am a fan of carbon fiber. It is a comparatively small TV box in size. It is also appealing and sleek, especially sitting next to your TV. Comes with a power adapter, an HDMI cable, and an infrared remote. It is a quite powerful device; it is equipped with an Amlogic S912 Octa Core ARM Cortex-A53 processor – a very powerful processor. Has DDR3 2GB RAM which is important in Kodi buffering and greatly enhances its computing capabilities. It has 16 GB of storage and another 32 GB via micro SD. It is also equipped with Bluetooth 4 for paring with other devices such as speakers, mouse, keyboards, gamepads, etc. I especially liked the onscreen launcher that is preinstalled with the Beelink. 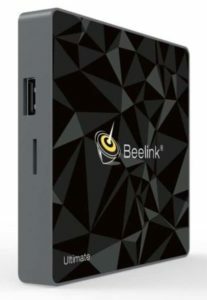 The Beelink GT1 also comes installed with Kodi. Most of the addons you would need on Kodi are available out of the box, but if there is anything missing, it also comes loaded with a wireless KodiMate app that helps in the installation of Kodi add ons. Plays 4K videos very well with download speeds of about 29.19 Mb/s while it can comfortably upload at 13.14 Mb/s. Buy or know more, now! There are lots of Chinese TV boxes out there and it’s sometimes hard to keep up, but the X88 Mini is probably the best of the bunch. This box is derived from the RK3328 SoC – developed by Rockchip. The X88 Mini contains 4 ARM Cortex-A53 processors. It has the capacity to decode 4K resolutions at 60fps – It supports 4K UHD video and gives that perfect home theatre experience. Its videos are smooth and of very high quality. The TV box is equipped with 16 GB internal storage with an extra allowance for a 32 GB SD card. Unfortunately, this TV box does not support Bluetooth. The only wireless feature on it is WiFi. The box has 3 connection ports on one side including a USB 3.0 port, a USB 2.0 port, an analog AV jack, a 10/100 network connector, and an HDMI 2.0 port. It is compatible with KODI 18 and offers other features such as Facebook, Flicker, Picasa, Youtube, Skype chatting, Online movies, etc. Fortunately for this TV box, it also allows buyers to return it within 30 days if the buyer is not satisfied. As you can see when it comes to Android TV boxes you have many options available to you. While the Chinese boxes are improving in quality and service, they are probably ones that I would still recommend last although the X88 is a decent device. If your budget is limited go for the M16 but if you have a bit more available to spend and do not want to upgrade immediately, I’d suggest you stretch a bit for the Beelink. It is a much more powerful and pretty device for only a little bit more money. The last words goes to reminding you to always use a Good VPN like IPVanish also as that’s your best protection when streaming online.